Whether you choose to soak in our 17,000 gallon Jacuzzi® or just snuggle-up fireside in the Executive Lounge. 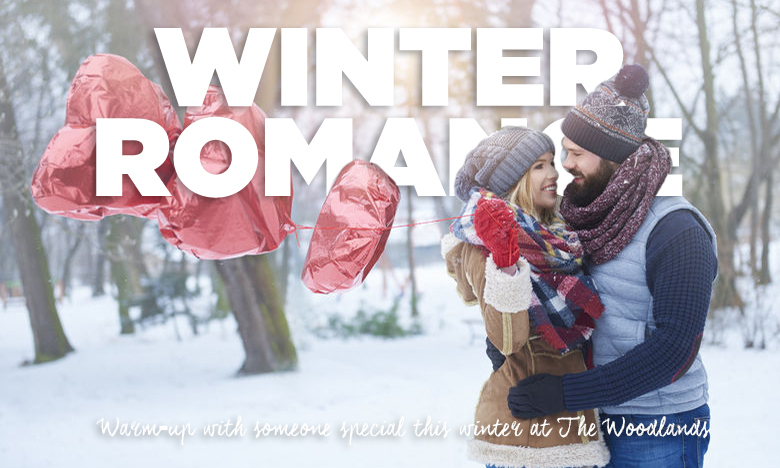 Warm-up with someone special this winter at The Woodlands and look at all you’ll get. TO BOOK: Call Us Directly at: 800-762-2222 and use code: “WINTER ROMANCE” for special rates.